Sold by Arch Bookz (4.6 out of 5 stars | 27 ratings). Want it faster? Available with FREE delivery from another seller at 1,600. Handmade and handcrafted objects are a part of daily life in Gujurat. The crafts of Gujurat demonstrate the symbiotic relationship between humans and Nature and offer meanignful lessons in sustainable living for future generations. The ingenious use of natural and locally available materials is combined with a unique aesthetic, bringing together form and function in each magnificent product. With simple tools, adherence to norms set by tradition and with their imagination, the artisans of Gujurat have embodied human potential. 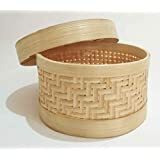 Traditional skills are now applied to create products for the contemporary world, demonstrating convincingly that natural and handmade products are adaptable over time. And, that tradiition continues to be relevant in modern times. Villoo Mirza is a textile designer. She is an advisor to the Self Employed Women's Association (SEWA). A former director of the National Institute of Fashion Technology, Gandhinagar, she has also led the design cell of Gurjari. Vinutha Mallya is an editor, journalist and publishing consultant. She has been an editor with Mapin Publishing and has worked on many books focused on arts and crafts of India. The book is a great effort by the State Tourism Dept of Gujarat. 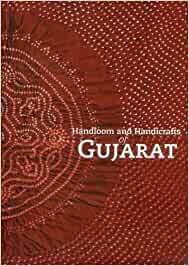 It serves as a great overview of the variety of arts and crafts of Gujarat.